For someone who first took to the game less than a dozen years ago, Bingyu Wang has had a tremendous run of success on curling’s world stage. 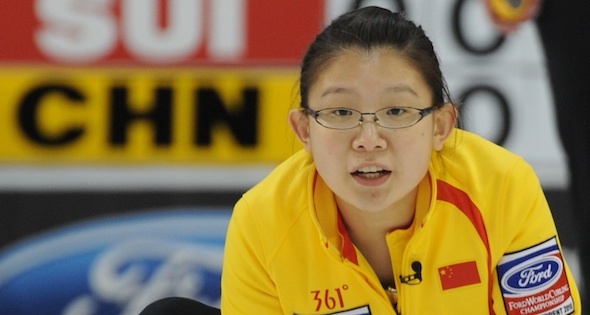 In 2008 at the Ford World Women’s Curling Championship in Vernon, B.C., she led China to a round-robin record of 9-2 and a silver medal finish. A year later in Gangneung, South Korea, she went one better, finishing preliminary play with a record of 10-1 and capping things off with an 8-6 victory over Sweden’s Anette Norberg in the gold medal game. At the 2010 Vancouver Winter Olympics, she skipped China to the podium, by going 6-3 in the round-robin, losing to Sweden in the semi-finals, then downing Switzerland in the bronze medal game. 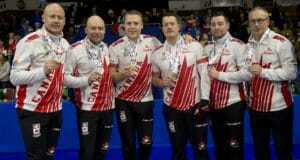 That bronze was the first team-based Winter Olympic medal ever won by the Chinese. 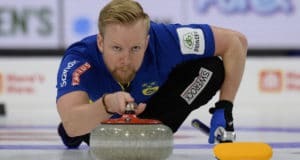 Wang, who finished her World Curling Championship trifecta by winning the bronze medal last year in Esbjerg, Denmark, can also claim four Asia Pacific Women’s championships and a Winter Universiade title to her credit. The twenty-seven-year-old World Women’s vet will be heading to Lethbridge along with her Harbin Curling Club team mates Qingshuang Yue, Jinli Liu, Yan Zhou and Yue Sun. Absent from the starting line up will be Wang’s long time confederate Liu Yin. The thirty-year-old Yin has been on the Chinese scene since 2002, and the vice for the team since 2008, but reports indicate the recently married veteran is prioritizing family issues at this time. This year the team has experimented with a number of different women holding the broom for Wang’s last rocks, with varying degrees of success. It now appears that the plan is to utilize long term second Yue at the vice position and move perennial fifth-player Liu into the second spot. Even without Yin in the line up, the Chinese entry should prove to be a force to be reckoned with at the 2012 Ford World Women’s Curling Championship in Lethbridge.